When adventure calls the Civic Hatch is with you all the way. Redesigned with the power of dreams, the 2017 Civic Hatch encapsulates Honda's passion for innovation and design. Its striking silhouette and bold looks are complemented by a sleek and spacious interior, complete with all the technology to keep you entertained, in touch and out of harm's way...wherever you may go. 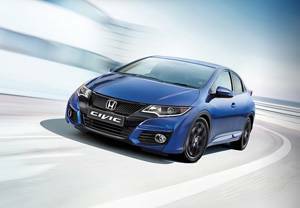 Curious to know more about the Honda Civic Hatch? Enquire now with North Jacklin Honda in Mackay through our Service department online.